A survey of 1,800 practicing ob-gyns found that while 97 percent of them have encountered a woman seeking an abortion, only 14 percent are willing or able to provide them. 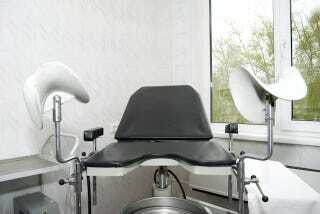 Of the doctors who do perform abortions, some interesting demographic facts could be gleaned: Female doctors were almost twice as likely (18.6 percent versus 10.6 percent) to provide abortions than their male colleagues. Doctors ages 26-35 are most likely to perform abortions, perhaps due to a renewed wave of awareness or activism — Medical Students for Choice was founded in the mid-nineties, after a pamphlet "joking" that abortion providers should be shot was distributed to thousands of medical students, and after a doctor was murdered. Or maybe, as was jokingly suggested today, it's because of the heavy rotation of Dirty Dancing on basic cable when that generation was growing up. So are doctors working in the Northeast or the West, and in cities rather than rural areas.